You've just found the right place! Looking for the best Macau hotel that suit your preference? Here are the most popular hotels around the city in which most Macau visitors preferred to stay. Here are some of the most popular Macau hotel brands offering not only a top class services and facilities but also the advantage of their respective superb location. We don't recommend a Macau hotel as we do not own or we're not directly connected to any of them, only, what we do is to tell you to which hotel usually a Macau traveler prefers to stay based on actual testimonials from our site's visitors and verified Macau hotel guest reviews. The Lisboa Macau is situated centrally within the central business district. Guests of this Macau hotel will be able to walk to corporate addresses as well as entertainment venues, dining options, and shopping centers. The Macau International Airport is fifteen minutes away from the Hotel Lisboa Macau. Additional travel options include the Macau Hong Kong Ferry, which is just five minutes away, and a selection of public transportation options. Guestrooms at the Lisboa in Macau provide such amenities as satellite television with on-demand movies, air-conditioning, in-room safes, radios, and private bathrooms with bathrobes. There are one thousand standard rooms and suites at the hotel. book a room at Lisboa Hotel Macau. 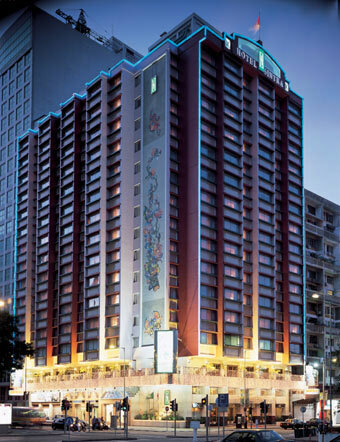 The Hotel Royal in Macau is located on Estrada da Vitoria, within steps of the city center. Guests will be able to walk to a number of attractions, including the St. Paulâ's Cathedral ruins, the Vasco da Gama Monument, and Colina da Guia. The shopping area of the city as well as the central business district is within minutes of this Macau hotel. In addition, many of the city's casinos are within minutes of the hotel. The Royal Macau is within steps of many area attractions as well as public transportation options. The hotel offers a complimentary shuttle to and from area attractions. 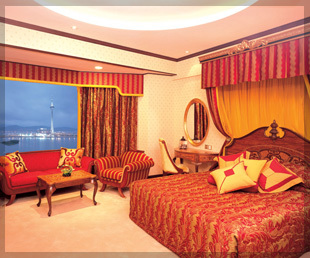 The guestrooms available at the Royal Macau Hotel provide guests with views of the city skyline or the harbor. Room amenities include satellite television and private bathrooms. There are three hundred eighty guestrooms at the hotel. book a room at Hotel Royal Macau. Situated centrally within the city, the Grand Lisboa Hotel Macau offers convenient access to area attractions. Guests will be able to reach such attractions as a casino and a spa. This accommodation in Macau is also nearby the Nam Van gaming area and the waterfront. The airport is just minutes from the Grand Lisboa Hotel Macau. The hotel offers a shuttle service to and from the airport. The four hundred thirty guestrooms available at the Grand Lisboa Hotel Macau include an array of amenities, such as air-conditioning, satellite television, wireless Internet access, minibars, separate living and sleeping areas, and private bathrooms with hairdryers, rain showers, and Jacuzzi tubs. book a room at Grand Lisboa Hotel Macau. Centrally located, the Casa Real Macau is nearby many area attractions, shopping options, and dining establishments. Within minutes of this accommodation in Macau, guests will find such attractions as the Sands Casino, the Macau Fisher's Wharf, and the Grand Prix Museum. The Casa Real Hotel Macau is located just five minutes from the Macau Ferry Terminal and just ten minutes from the Macau International Airport. Many area attractions are just a short walk or a short drive away from the hotel. There are three hundred eighty one guestrooms available at the Casa Real Hotel Macau. Each of the guestrooms includes a number of modern amenities, such as air-conditioning, minibars, television, and private bathrooms with hairdryers. The hotel also offers 24-hour room service. book a room at Casa Real Hotel Macau. The Macau Holiday Inn Hotel is located in central Macau nearby to many of the city's businesses and tourist attractions. In particular, the hotel is nearby to the Macau Cultural Center, Leal Senado Square, the Macau Grand Prix Circuit, and Macau Lan Kwai Fong. The Holiday Inn Macau is easily accessible by car, and it is also nearby to Macau's public transportation system. Guests can also get around much of the business district on foot. The rooms of the Holiday Inn Macau are spread over sixteen floors, and they offer guests amenities like cable televisions with premium channels and pay-per-view movies, minibars, fridges, and coffee and tea making facilities. The hotels rooms are outfitted comfortably in a modern style. book a room at Holiday Inn Macau. The Metropark Macau is situated within the commercial and business districts of the city. Guests will be able to walk to a number of shopping centers from this accommodation in Macau. Guests will be able to reach many area attractions within minutes of attractions in the city. The Metropark Macau Hotel is just fifteen minutes from the Macau International Airport, and the Macau Ferry Terminal is only five minutes away from the accommodation. Many attractions are within walking distance of the hotel. The three hundred thirty eight guestrooms available at the Metropark in Macau offer a selection of amenities, such as air-conditioning, cable television, direct-dial telephones, minibars, coffeemakers, ice makers, mini refrigerators, and private bathrooms with hairdryers and showers. 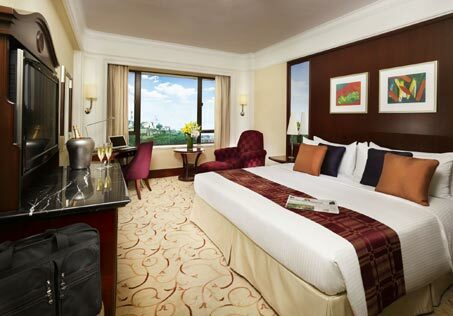 book a room at Metropark Hotel Macau. It is located in the heart of Macau city, the finest entertainment and commercial district. 10 minutes from the ferry terminal and 15 minutes to Macau International Airport. It is a casino hotel open in year 2006, providing very high standard of service. It is recommenced for leisure and business travelers. It is a 23 storey height modern building and imposing palatial facade. 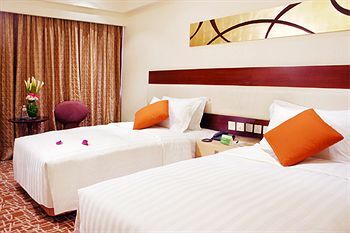 All room are spacious and feature individual air-conditioning control. Flat screen TV, broadband internet access, voice mail, hair dryer, safety box, tea and coffee making facilities are all available. book a room at Grand Emperor Hotel Macau. Situated just off the main street of the city, the Sintra Macau provides guests with access to many area attractions, including the Lisboa Casino, the shopping district, and the business district of the city. Guests will find dining and entertainment options nearby the accommodation. The Macau Ferry Terminal is five minutes from the Hotel Sintra Macau, and the Macau International Airport is just fifteen minutes away. The hotel offers a shuttle service to and from the ferry terminal as well as a limousine rental service. The guestrooms available at the Hotel Sintra in Macau include an array of amenities. Each of the rooms offer satellite television with on-demand movies, air-conditioning, direct-dial telephones, high-speed Internet access, work desks, minibars, refrigerators, and private bathrooms with bathrobes and slippers. There are two hundred fifty three guestrooms available at the hotel. book a room at Hotel Sintra Macau. 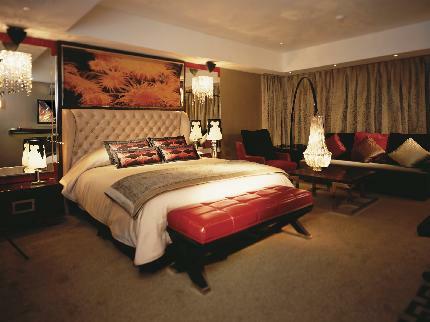 The East Asia Hotel is perfectly located for both business and leisure guests to Macau. The hotel has 98 rooms which are all nicely decorated to provide a memorable stay. All of the guestrooms are replete with desk, air conditioning, coffee/tea maker, television. The amenities and services offered at this Macau accommodation include elevator, concierge. The hotel creates a balance of rich culture and modern convenience to ensure you a memorable stay. To make your reservation at the East Asia Hotel quick and easy, please select your preferred dates of stay and proceed with our secure online booking form. 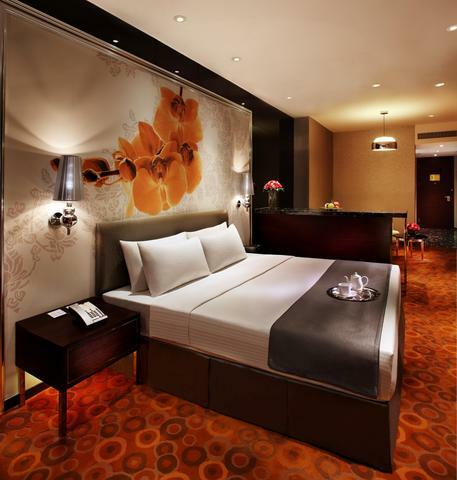 book a room at East Asia Hotel Macau. No listing at this time under this category.